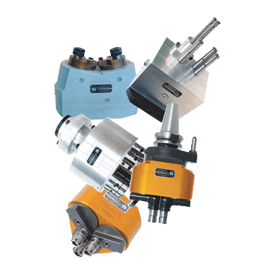 Multi-spindle heads allow you to reduce the time needed to machine a single piece, making more than one operation at once. Automotive part makers have used these types of heads for many years to achieve extremely high productivity. "We have more than 55 years of experience serving the automotive industry." 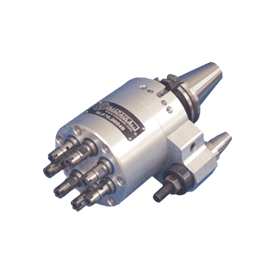 Our experience and know how allows us to design, develop and innovate multi-spindle heads with fixed and adjustable distances; or even very close distances; and with high rotational speed. the most common are between 2 and 24 spindles. This heads are mainly used for drilling, tapping, reaming and milling in all kind for materials. 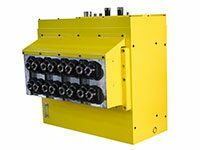 "The machine itself is the limit for the head, power and machine attachment will limit the number of spindles and the operations that can perform." Multi-spindle heads can be fitted on drill press machines, columns drilling machines, Multi-spindle heads can be fitted on drill press machines, columns drilling machines, radial drill presses, machining units, automated production machines, transfer machines and machining centers.radial drill presses, machining units, automated production machines, transfer machines and machining centers. "We do tailor-made project for each application to fit every customer requirements." Any spindle pattern, with coolant through, different speeds for each spindle, wide range of output types and attachments to the machine.. We can achieve everything required.